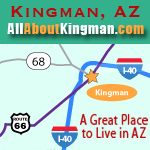 Kingman's location provides convenient day-trip travel to Las Vegas & Laughlin, Nevada as well as the Grand Canyon and Flagstaff. There is also easy access to Los Angeles, Phoenix, as well as great parks like Zion Canyon, and Bryce Canyon. Come live in Kingman. You and your guests will have plenty of places to go and things to do! Rainbow Bridge - largest natural bridge in the world. Four Corners - Only place in the USA where four states meet. Winslow - Remember the song "Standing on the corner"? 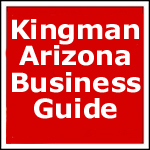 Williams - "Gateway to the Grand Canyon"
The list above is only the highlights of things to do when you live in Kingman, Arizona.There is so much else to do including many state parks and more national parks. 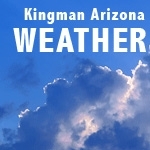 Kingman, Arizona Sunrise, Sunset, Dawn & Dusk times for the whole year. Getting Away From Nature's Fury!